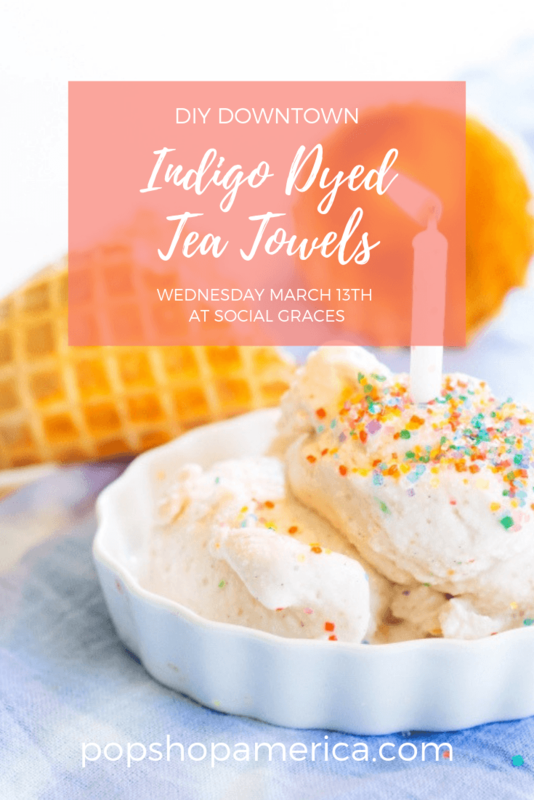 Join Pop Shop America on March 13th at the Social Graces Social Club for a craft workshop and make your own Indigo Dyed Tea Towels! This workshop will have everything you need for a relaxing and fun evening that’s perfect for friends, couples, or just joining us on your own. Learn how to use the Shibori Dyeing Technique to make your own set of Tea Towels. We’ll dye in cool patterns and learn how to create an ombre creating in dye as well. 21+ only. Light sips & light bites included! At each Pop Shop America Workshop we listen to music, chat, and nosh on small bites locally prepared by Local Foods Downtown and Phoenicia! Join us for a super fun evening of making + snacking!